Evolutionary techniques are applied to develop the neural control of humanoid robots. These robots were designed to act as agents in embodied language games. 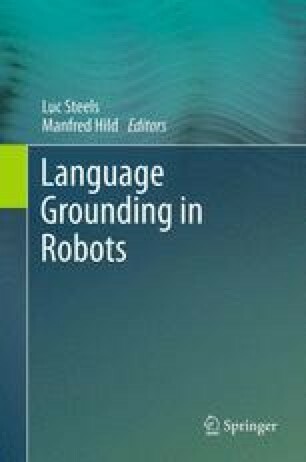 The basic ingredients needed to bring forth the desired behaviors are described: an appropriate physical simulator of the robots, an interactive evolution environment and various analysis tools. A modular approach to neural control is taken and is supported by a corresponding evolutionary algorithm, such that complete neural control networks are composed of specific functional units, the so called neuro-modules. Examples of such modules are described and their use is demonstrated by means of two developed networks for a walking and a gesture behavior.